Why Use Levy's Lawns and Landscaping? If you’re looking for landscape maintenance, pond installation, lawn care, or other landscaping needs in the Gig Harbor region, look no further than Levy’s Lawns and Landscaping. Trust your yard to a local landscaper. If you want it, we can design and install it, from the installation of stone pavers, retaining walls, driveway pavers, to patios and lawns. Give us a call at (360) 876-6567. One of Puget Sounds best kept secrets for family friendly recreational retreats, Allyn and Belfair inspire you to kayak, fish, enjoy comforting food from one of the many restaurants, or simply relax. 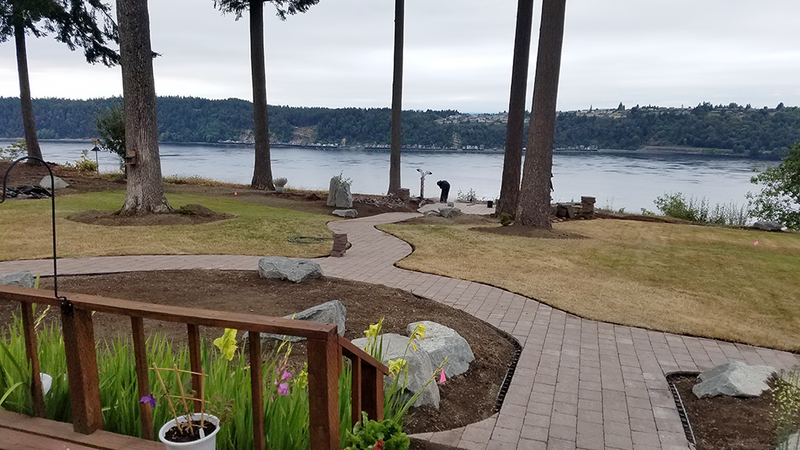 Levy’s Lawns & Landscaping, LLC provides year-round services, including patios and rock gardens, sod installation, sprinklers, lawn maintenance, yard care, excavation and more, in Belfair, Allyn, Washington.